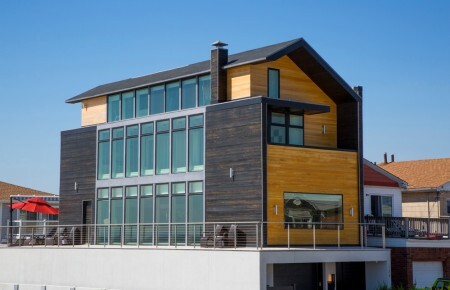 Over the past decade the American home has changed. Walls came down in open floor plans and informal gatherings, often held in enlarged kitchens, began to center around tables or islands. But even though meals happen faster now—think morning coffee and toast at the breakfast bar—a dining room table is still the best gathering ground. Regardless of how frequently it’s used, the right dining room table starts with the space it sits in and its intended use. A design flexible enough to expand for large parties or pull double duty as a surface for homework helps bring the table into contemporary times. But the countless options don’t making picking the right table and chairs easy. It’s all about finding the right combination. A dining room’s size, shape and aesthetic are some of the ways the space influenceås the table. The right table is one that hosts meals flawlessly, provides enough space for guests and easily facilitates conversation. “A round table takes up more room but there is more room in the center for serving pieces,” said Mindy Miles Greenberg from Great Neck-based Encore Decor Interior Design + Renovation. A rectangular table is a natural fit for long, narrow rooms while a round top keeps guests closer for easier conversation. 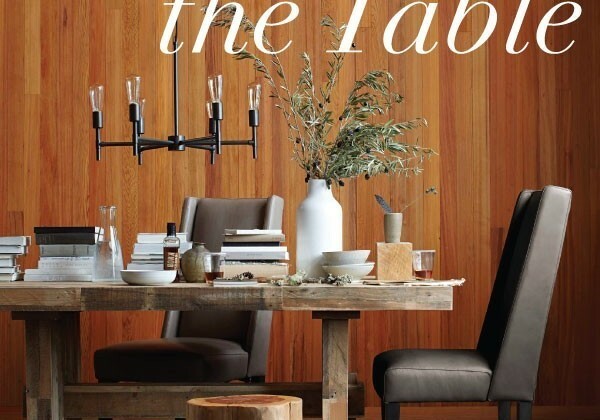 Down below, a table’s legs also influence seating—chunky posts at the end of a long table limit the number of chairs while a central pedestal is the most flexible. 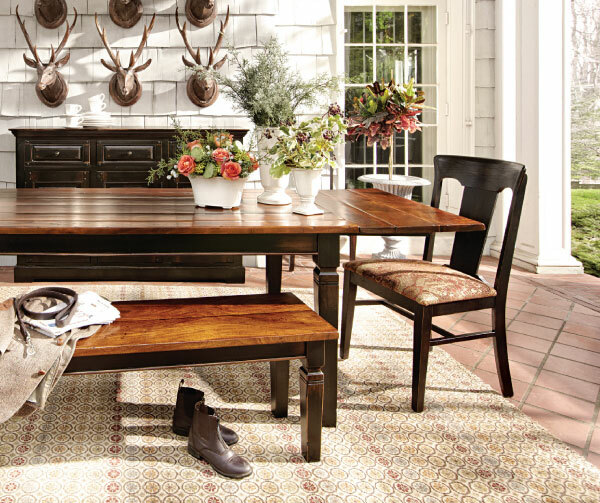 A dining room table should meet the needs of the guests without making the room feel cramped. Look for three feet of space between the edge of the table and the wall or any other furniture. That provides enough room for someone to get in and out of a chair comfortably. On the tabletop, plan for two feet between each place setting and consider buying additional chairs if the table can accommodate them. Tabletop heights vary between 28 and 30 inches and there should be enough space between the chair’s seat and the lowest part of the tabletop, often called the apron, to allow guests to cross their legs. Tables that expand with leaves offer the greatest flexibility, from hosting modest family meals to formal dinners. They make a rectangular table longer and turn circles into ovals, though there are some circular tables with crescent-shaped leaves that clip on around the table. 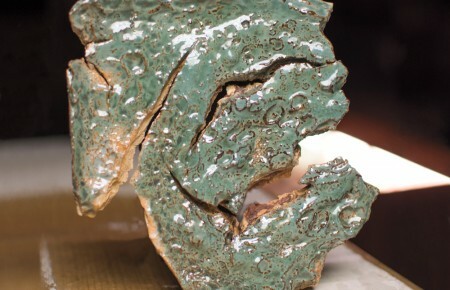 Most have removable tabletop slabs that have to be stored while newer designs conceal the additional leaves inside the top. A drop leaf table makes the most of smaller spaces by hugging a wall when maximum size isn’t needed, but folds out quickly for impromptu gatherings. A dining room table is often an investment. Knowing what details and materials to look for can mean the difference between picking something that will last a lifetime or a table that is ready to heave after the holidays. An alternative to budget-busting, solid wood tables is one made with a thin wood veneer glued to a base of plywood or medium-density fiberboard. Veneers come in a wide range of woods from common oak to higher end species like mahogany. Although more affordable than solid wood, and less prone to splitting or warping, veneers can peel and blister—a problem with lesser quality construction. Also, sturdiness shouldn’t be an issue with high-quality veneer tables because they typically have solid wood legs. Wood saturated in stain can transform a table’s look. A rich, dark stain on a light to medium-colored wood, like oak or cherry, fits a traditional style. 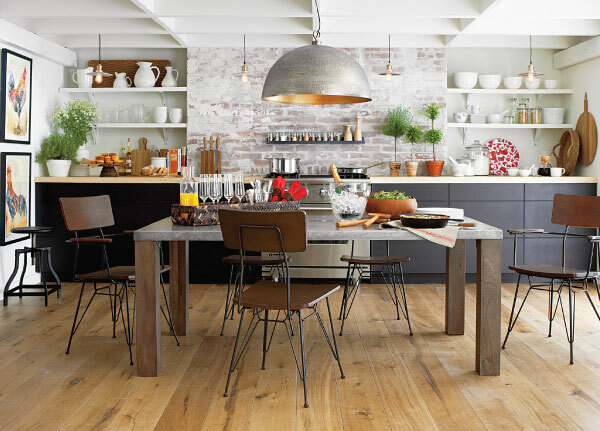 A few shades darker, like a black or espresso finish, gives a table a more contemporary aesthetic. The darker the stain the more scratches and dust will show on the surface. While there are bold stains that will add a pop of color without blocking the wood’s grain, when it comes to a colorful dining room table, paint is still the most popular. Any table, regardless of how formal in shape and design, takes on a casual air with a fresh coat of latex paint. Gloss or semi-gloss versions flow over wood grain better, resulting in a smoother surface that is also easier to wipe clean. Buying a set with seating included is easier, but picking chairs separately allows for more creative designs and better problem solving. Measure or check to ensure the chair fits under the table and that its legs don’t bump the table’s. Buying seating separately makes it easier to fold in elements like a bench and other unpredictable décor options.